Gerry Zidner is excited and pleased to announce the launch of Georgian Harbour Yacht Sales and has relocated to Beacon Bay Marina. Gerry is an Ontario Certified Marine Sales Professional and Boating Ontario member who has been brokering boats in the Georgian Bay area for over 12 years. Gerry has been seen in and around the many marinas in our area, and his friendly face coupled with a warm demeanour, is widely recognized in our boating community. His refreshing and unique approach will make your boat buying or selling a memorable experience. Gerry will be joined by his spouse Suzanne, who together, have enjoyed over 40 years of boating in the Georgian Bay region. They made a permanent move to Penetanguishene in 2001 and will be working year round to satisfy the needs of our boating community. 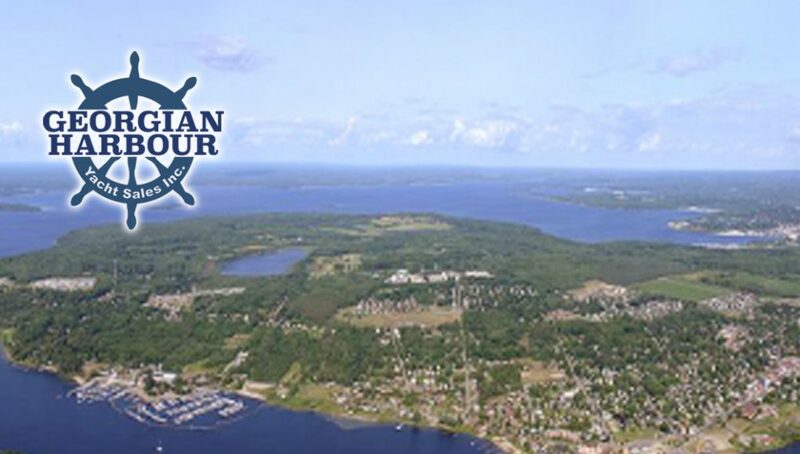 Their office is located in Beacon Bay Marina, 37 Champlain Rd., in Penetanguishene. They will also be available for the many boaters at Bay Moorings Marina. Georgian Harbour Yacht Sales will service the Southern Georgian Bay region with knowledgeable and professional service for both buyers and sellers. Whether purchasing or selling a boat, there are often challenging obstacles and sometimes complex issues to be dealt with. As a buyer, we will help you through the processes necessary to protect your interest and look after the bulk of the procedures so that you can concentrate on enjoying the pleasures of boat ownership. As a seller you will have the assurance of knowing that your boat has been fairly evaluated and is being presented to only qualified purchasers. We ensure that your boat is treated respectfully when bringing prospective purchasers on board. Gerry and Suzanne invite you to drop in to discuss your boating needs, or just to share some of your memorable experiences. Next articleThe Queen’s Quay is Now Open for Business!